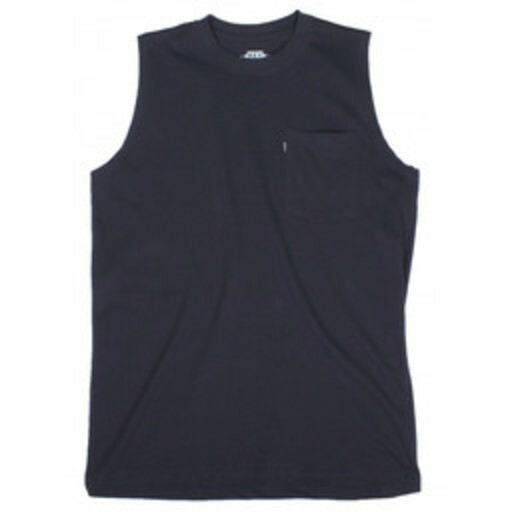 The KEY Blended Sleeveless Tee is designed with comfort and hard work in mind. This blended fabric is designed to outperform both in fit and colorfastness. A left chest pocket allows for essentials to be kept right at your fingertips and features such as, taped seams, stitched sides and a heat transfer tag have been added to enhance comfort. To stay cool on a hot summer day, the KEY Blended Sleeveless Tee pairs well with any of our shorts! All brand names are the property of their respective copyright holders.